14 Jun Anatomy Games: Round 2! Let the games continue! To herald our FAMI workshop, the amazing anatomy love-fest held every summer (already full for 2011! 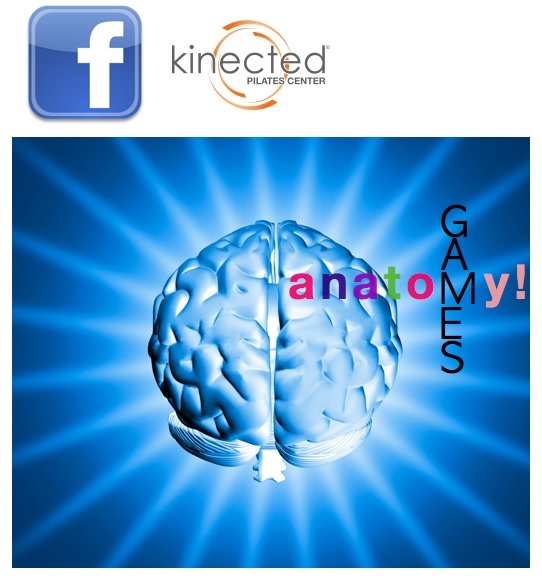 ), we present you with the second round of our Anatomy Games. With the long summer days drifting in, you’ll have ample time to play along and (hopefully!) win BIG! Prize: 2 expert private sessions ($180 value)! To play, visit our Facebook page, “like us,” follow the rules below, and post your anatomy bluff under the contest info! In the spirit of the fab NPR show, Wait Wait Don’t Tell Me, we want you to create an “Anatomy Bluff”: a convincing and factually wrong non-anatomy definition for an anatomical term. Use any anatomical term you want! Here are a few good ones to get you started: sulcus, homunculus, epiphysis, sarcomere, arcuate fasciculus. Submit your bluff by July 10th to be entered into a drawing to win 2 private sessions! You can submit up to three bluffs –for three chances to win! Have fun and pass the game along to your fellow anatomy friends! Want more anatomy love? Check out round 1 here! Brachial plexus: a luxury car with a lung condition. We love it!! Thanks so much for playing, Lenore!